years. The imported vessels are Norwegian-built and designed to operate in harsh environments. Incorporating the latest in equipment & technology, the vessels are of the highest build quality and offer increased capability and cargo capacity for Canadian offshore customers. The Troms Sirius and Lundstrom Tide will build on the previously established relationship between Tidewater Marine and Horizon Maritime, providing local seafarers with additional opportunities to operate some of the most advanced and safest offshore vessels in the world, close to home. Previously, Tidewater Marine and Horizon Maritime worked together to support Shell Canada’s Shelburne Basin Deep-Water Exploration Project offshore Nova Scotia, during which Horizon Maritime personnel operated Tidewater Marine vessels, Breaux Tide and Jones Tide, over a roughly 18 month time-frame. 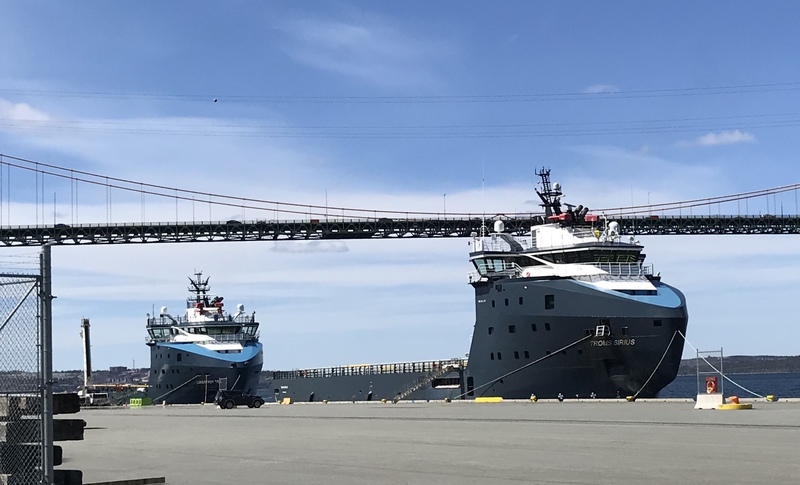 Both the Troms Sirius and Lundstrom Tide are Canadian registered vessels and are crewed with Atlantic Canadians, combining the best in local expertise and marine management with equipment and depth of experience from the world’s largest offshore support vessel company. This entry was posted in offshore on April 22, 2018 by Peter.